Affidavits — signed, sworn statements of fact — are used in trials and other court proceedings where a verified statement is required. When used in the US court system, affidavits are commonly written by an attorney. Affidavits consist of numbered claims relevant to the case, followed by a statement of truth, an attestation clause and signatures of the affiant and any witnesses. Drawing up an affidavit is a simple enough task for an attorney, but what if the person who is supposed to sign the affidavit doesn’t speak English? Should the affiant really sign his or her name to an important legal document that purports to contain true facts if he or she cannot even read — and therefore stand behind — what the document says? With the US being home to an increasingly diverse population, attorneys are sometimes confronted with the issue of a non-English-speaking client who needs to sign and submit an affidavit to the court. Creating an affidavit that an affiant can sign and stand behind is a complex process that requires more than just one simple translation. The affidavit translation process begins when an attorney drafts an affidavit in English. The affidavit is then submitted for translation to experienced professional legal translators. Once the translation is finished, it is sent back for review by the affiant and the attorney, along with a professional interpreter. The affiant looks over the affidavit translation and, with the assistance of the interpreter, marks up the affidavit translation with corrections to be made. After the affidavit translation is marked up, a back-translation (a second translation of the new document, translated back into English) is done for the benefit of the attorney. The attorney reviews the changes and, if necessary, makes additional changes in the source document. Just as in other legal translations, the goal is to have an affidavit and affidavit translation that are as similar as possible, expressing the exact same claims using a traditional legal format and legal vocabulary. Back-translations must be done not just for the benefit of the attorney, but to ensure the affidavit avoids legal complications. 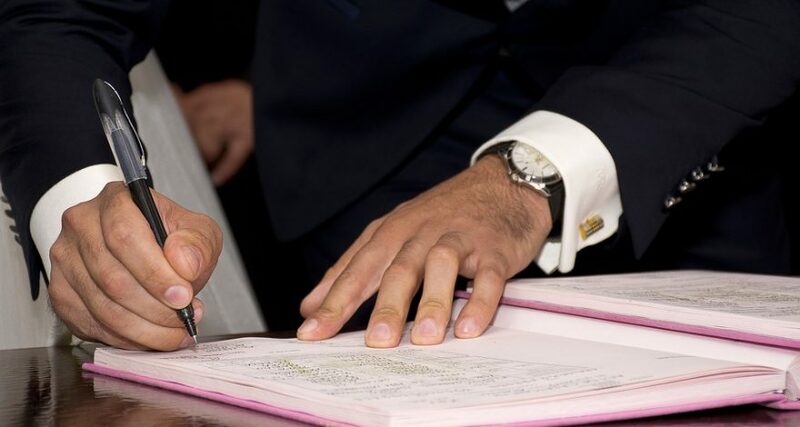 Keep in mind that in addition to having a professional translator for the affidavit, an interpreter is also necessary to go over the affidavit translation with both the attorney and affiant present. Communication is vital during the creation of a legal document, and it is best to employ the services of both a translator (who can express material clearly in the target language) and an interpreter (who can facilitate on-the-spot oral communication between the attorney and the client). Due to differences in languages and cultures, the words used in an interpretation or translation may not always convey the exact intended meaning of the source document. However, the outcome of legal proceedings can often depend on the words chosen for the affidavit. It is absolutely imperative for the translator and interpreter not only to use the correct language in the affidavit, but also to consider the tone of the document as well. Once the affidavit translation is complete, the affiant signs the document in his or her language. Once the affidavit is signed, a certified translation should be made with an attestation by the translator. Both copies will be required in court. The affidavit translation process is an important investment for all involved — the attorneys, affiants, translators and interpreters. Legal Language has extensive experience with the affidavit translation process. Don’t hesitate to get in touch with our professional staff if you have any questions. We’d love to further discuss the affidavit translation method with you. Can eDiscovery Costs Be Reimbursed?